Sophomore Daniel Schaffer (Biology) was the runner-up and is the alternate to go to ISEF. The Science Bowl Team won first and second place at the Maryland Science Bowl (@MrPham_at_MBHS). 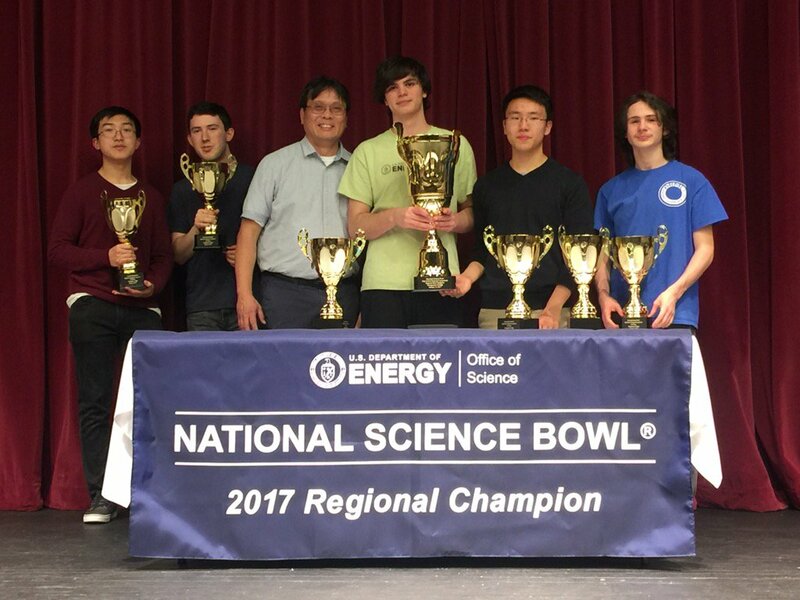 David Wu, Noah Singer, Jamie Vinson, Alex Miao, and Elliot Kienzle will compete at the National Science Bowl on April 27-May 1 (Press release from science.energy.gov: pdf). The Ocean Science Bowl Team won first place at the Chesapeake Bay Bowl: Seniors Lara Shonkwiler, Jamie Vinson, Alex Miao, Emma Jin, and Juliana Lu-Yang will represent the region at the National Ocean Sciences Bowl on April 20-23. Blair's team (Jamie Vinson, Eshan Tewari, Siddharth Taneja, Andrew Komo, and Annie Zhao) is in the finals of Moody's Mega Math Challenge (@wrose). They will compete for prizes ranging from $5,000 to $20,000 on April 24 in New York (bethesdamagazine.com). The Math team finished in 4th place at the Harvard-MIT Math Tournament; Sophomore Daniel Zhu finished 6th place overall individually, and two juniors, Dilhan Salgado and Guangqi Cui, also finished in the top 50. The Quiz Bowl team (Anson Berns, Katherine Lei, Ben Miller, and Ian Rackow) won the Johns Hopkins University Blue Jay Bowl! (@jrackow1). They will compete in the National Championship Tournament May 26-28. The It's Academic Team (Ian Rackow, Anson Berns, and Ben Miller) won its first playoff match (@blairprincipal) and will be competing in the semifinals on April 22nd - the first playoff match will air on NBC4 on May 6th at 10:30am. Juniors George Klees, Noah Singer, Artemis Tosini, and Andrew Komo took 2nd place at the Cyber Skyline Metropolis Cybersecurity Competition at UMD in February. The Science Olympiad Team finished in 8th place at the Maryland State Finals. 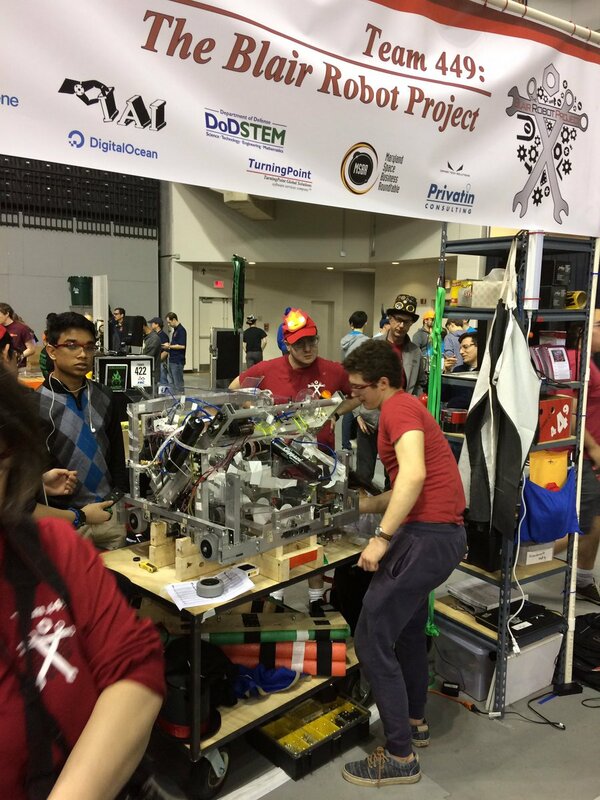 Team 449 made it to the finals at the Central Maryland District Event March 25th, qualifying for the Chesapeake District Championship! Junior Laura Espinoza received a 2017 Maryland Women of Tomorrow Award (pdf) from the Maryland Commission for Women. 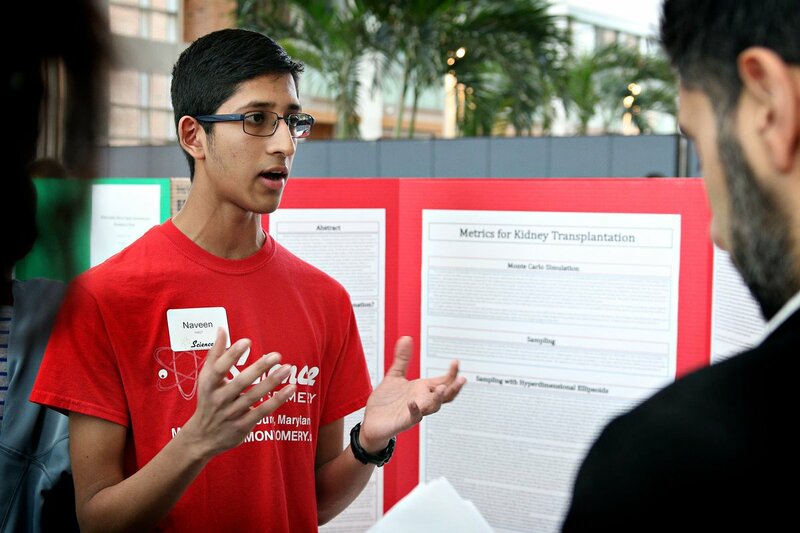 Blair's Science Talent Search Finalists were interviewed by the Washington Post and ABC7 News. Mr. Stein's sports statistics class was featured on Fox5 News and in SB Nation for their work predicting March Madness outcomes.